MUST SEE!! 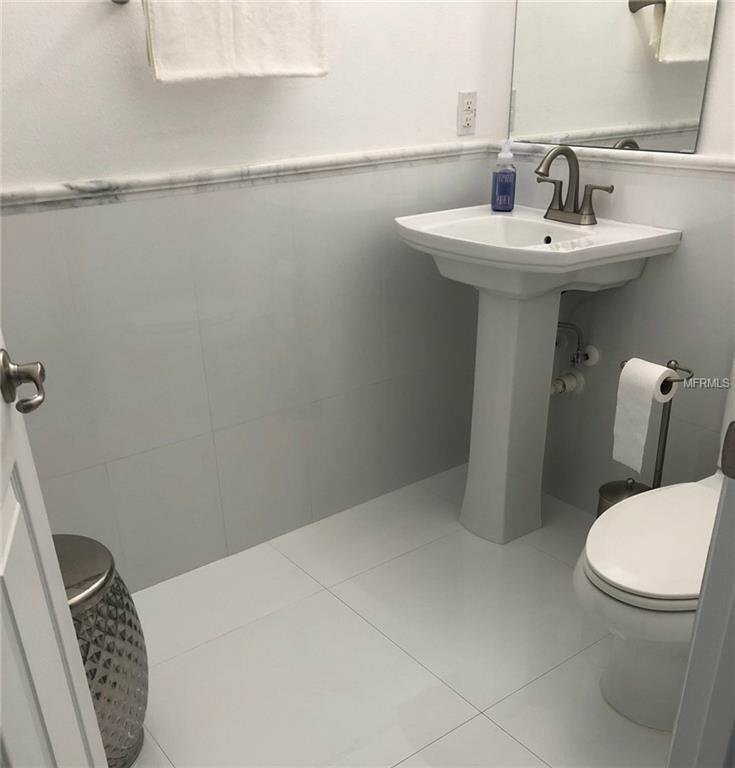 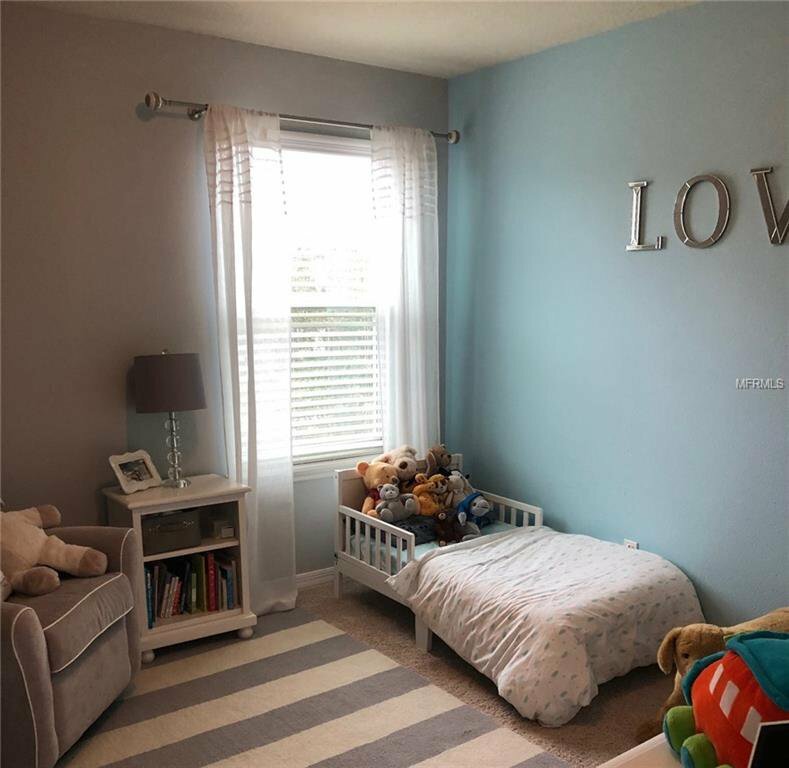 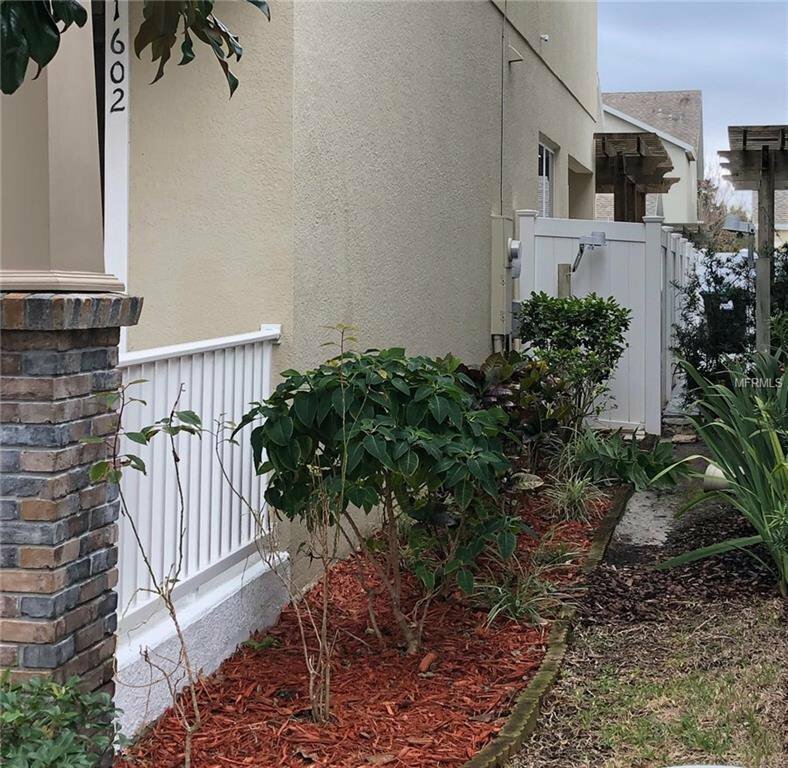 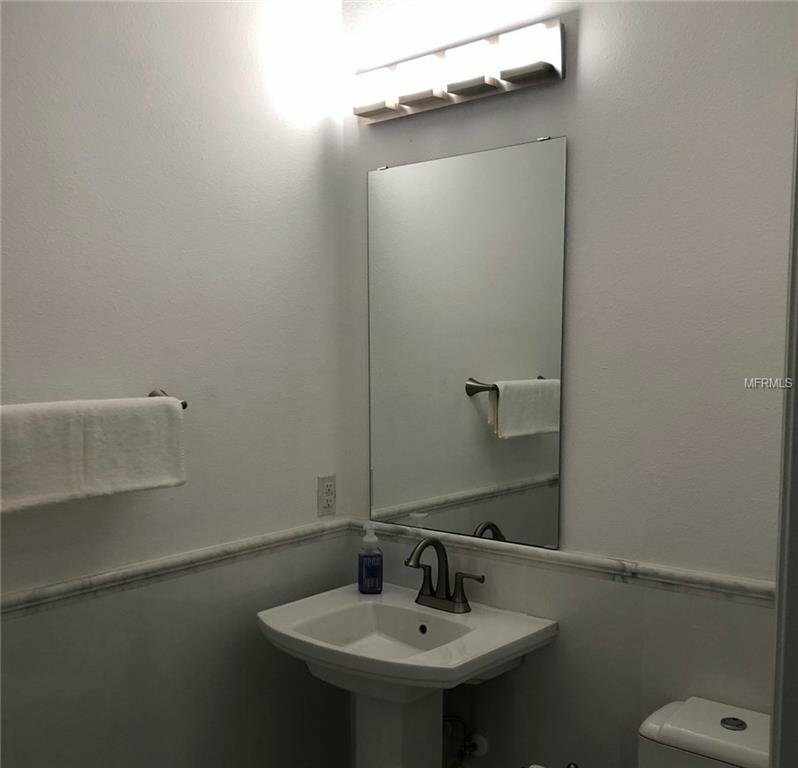 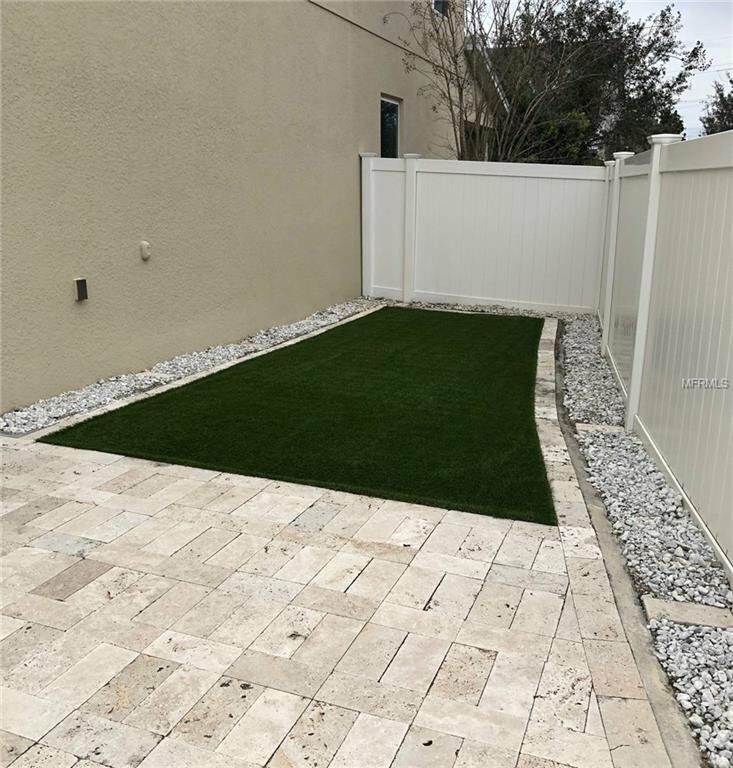 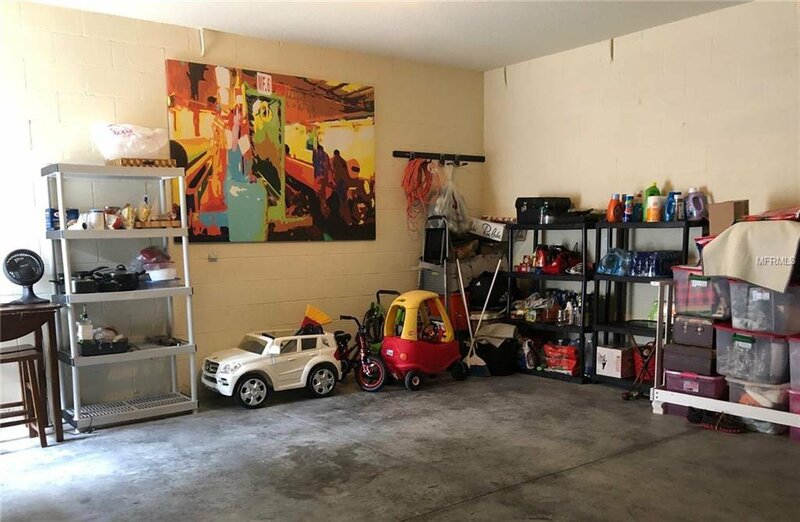 Lots of modern upgrades in this 2-story home located on a large corner lot, very nice maintained garden, painted porch floor, two car garages, a spacious and private fenced-in paver backyard. 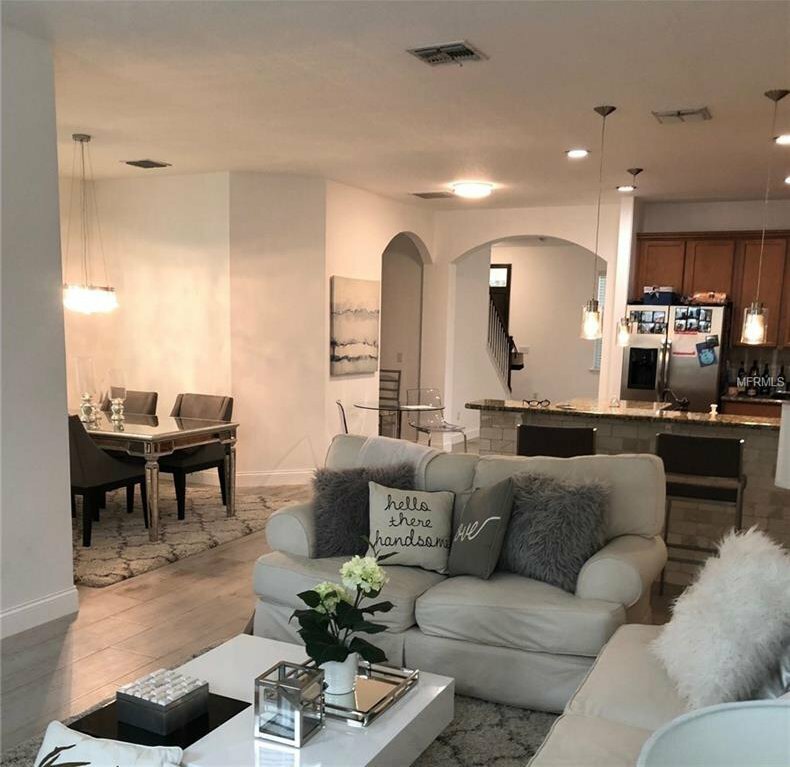 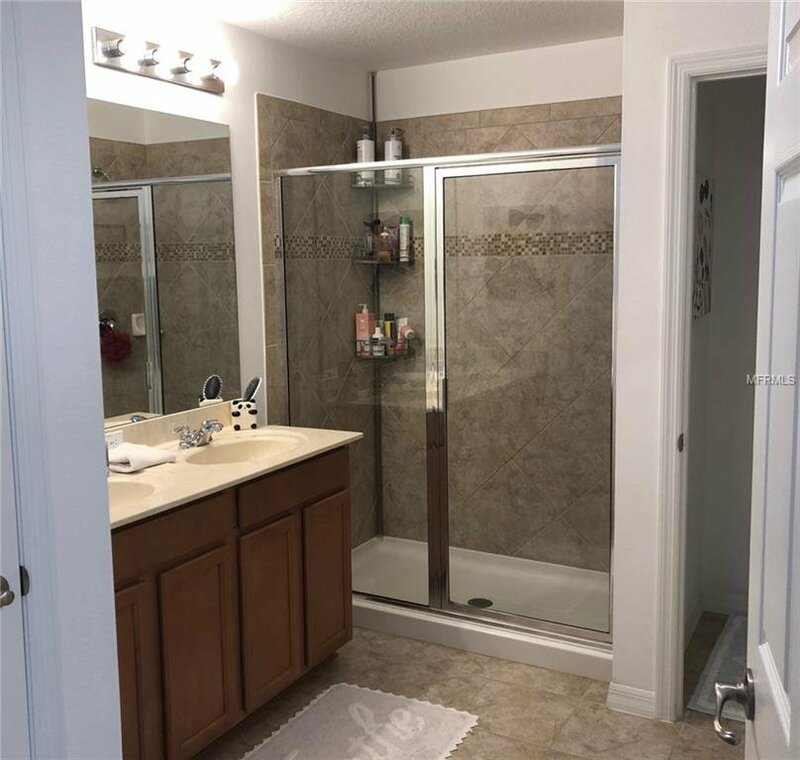 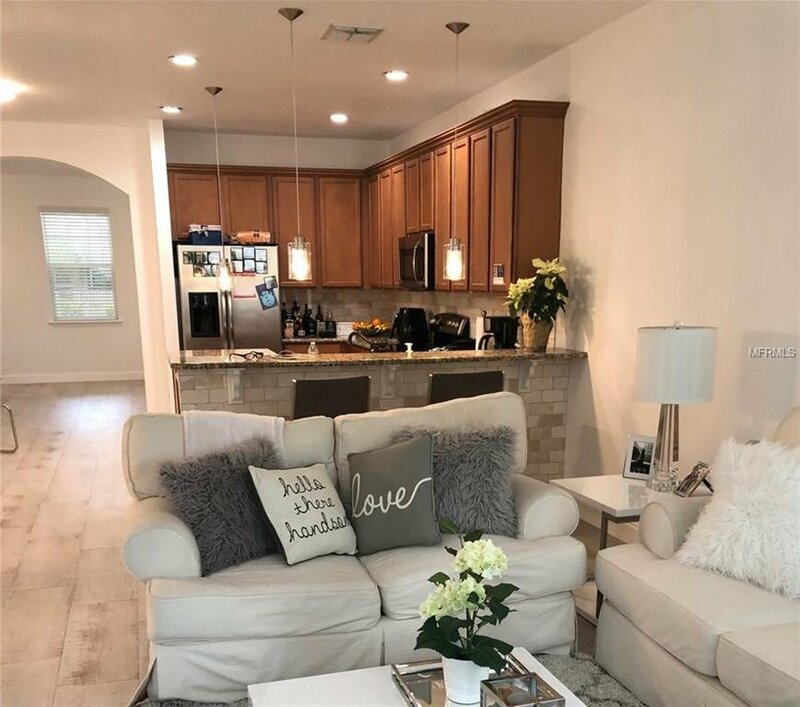 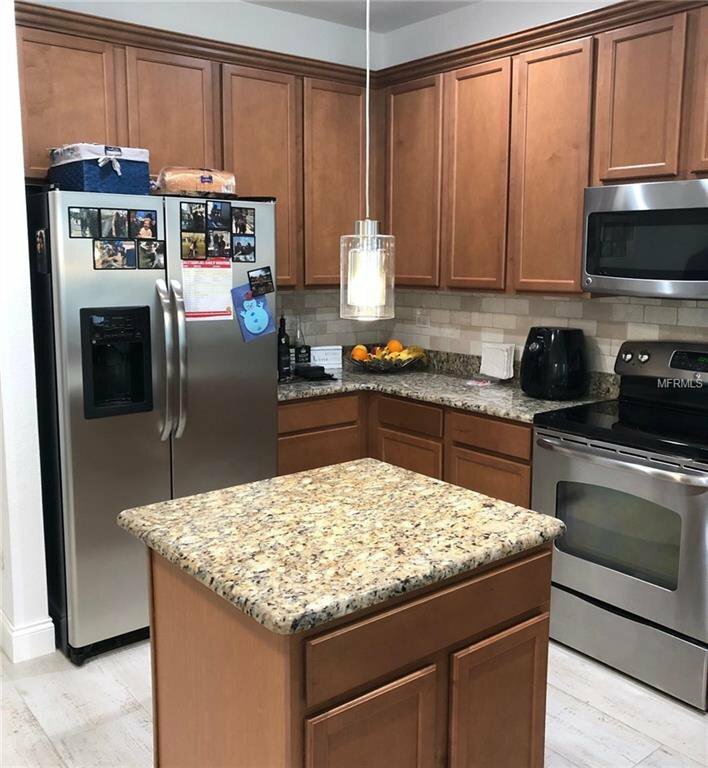 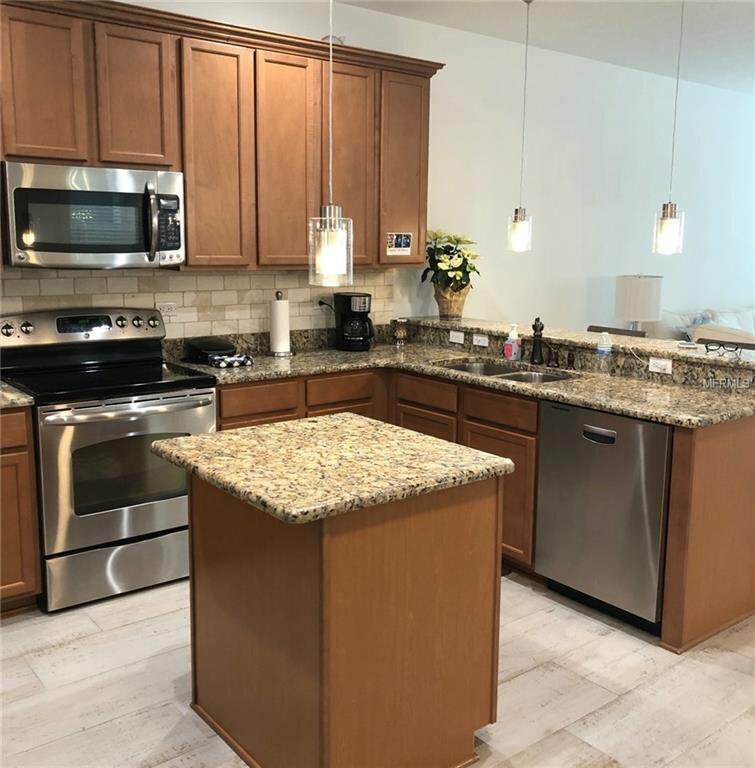 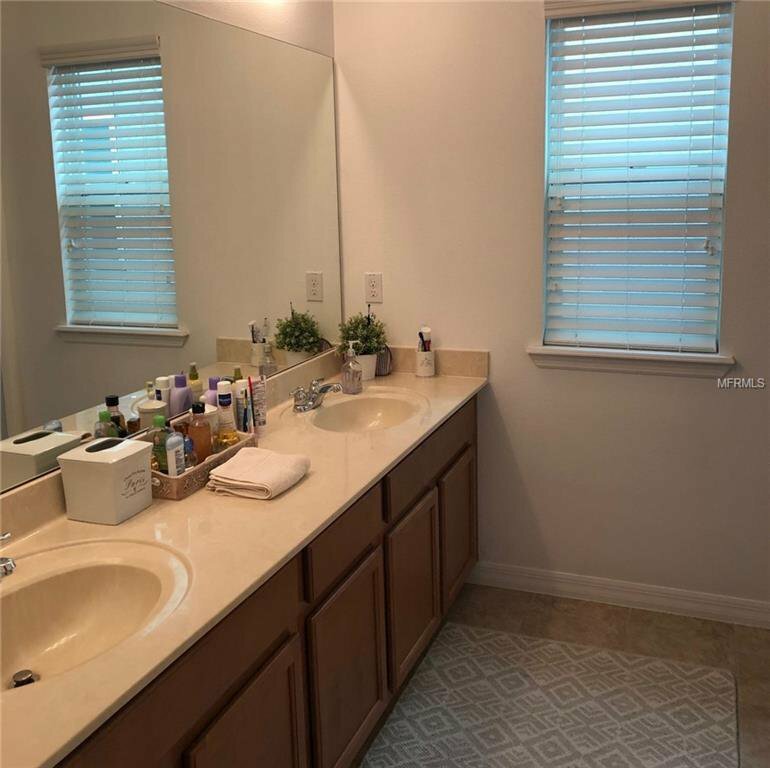 1st floor: Separated large living area, kitchen with granite counters, new appliances, island, plenty of cabinets, closet pantry, backsplash and balcony combine same natural tile material. 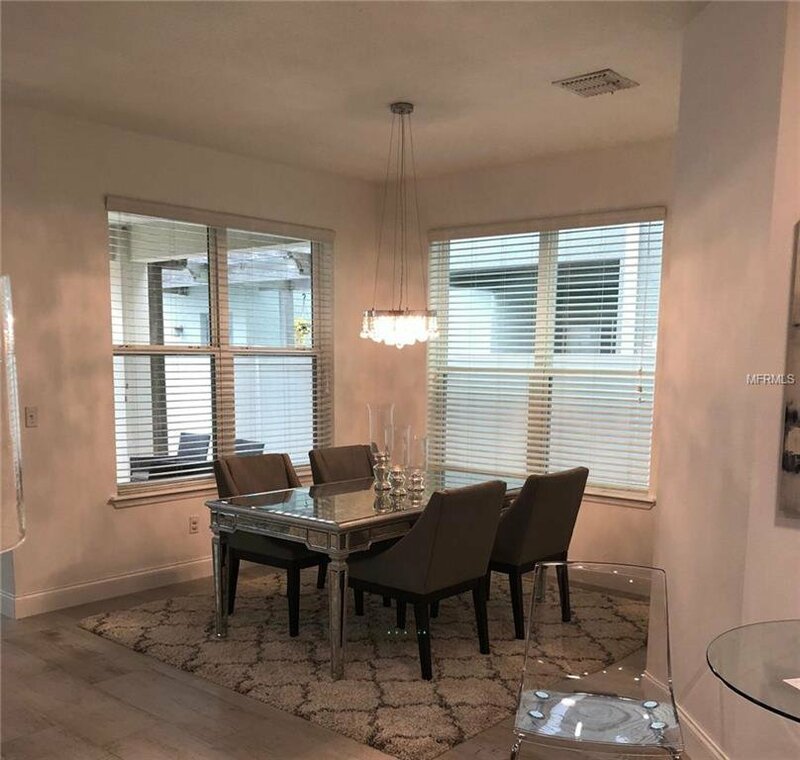 Dining room with crystal chandelier, half bath and a family room completed this floor with a luxury livid hardwood floor. 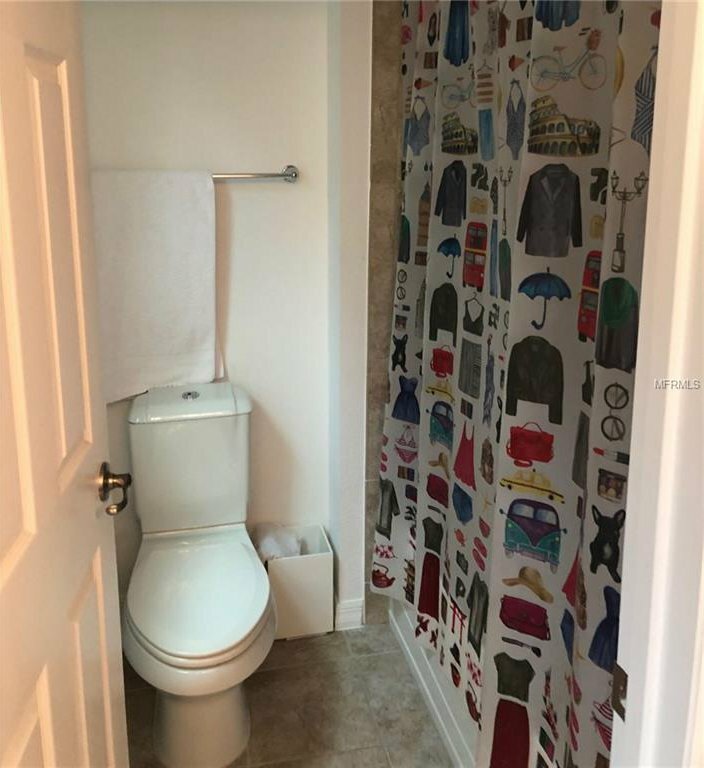 2nd floor: All carpet. 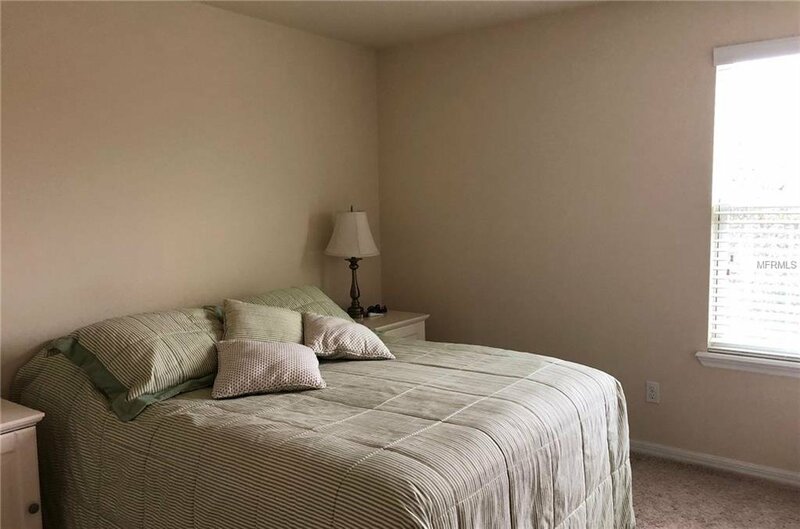 Open loft/office space, master suite offers a walk-in closet and dual sink vanity. 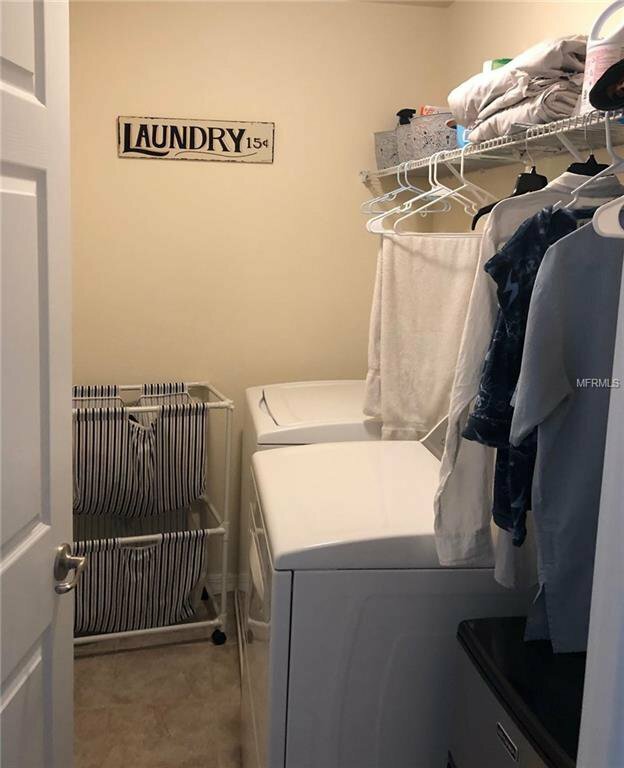 Two more bedrooms provide plenty of storage, and a convenient upstairs laundry room with washer and dryer. 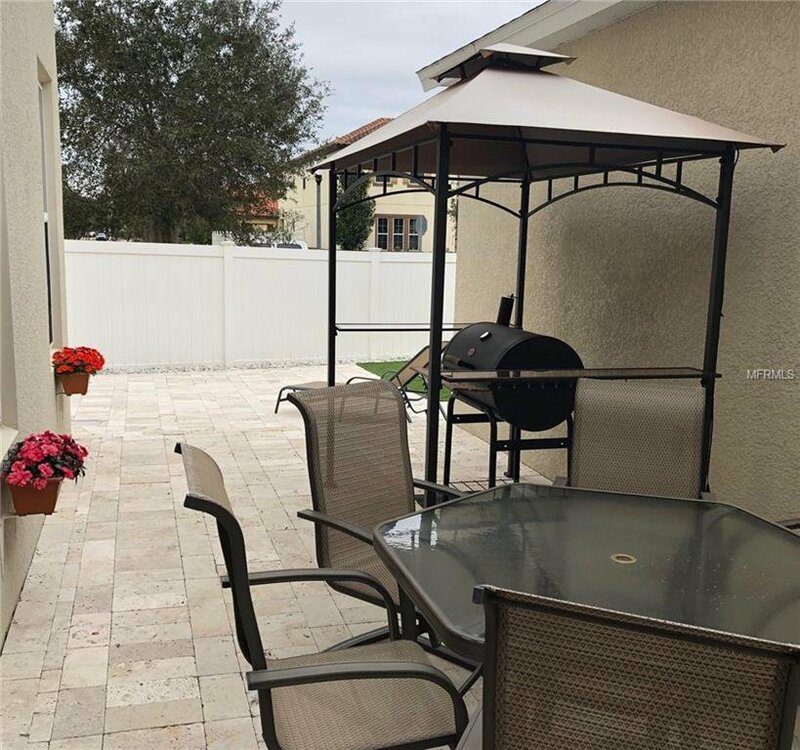 A covered lanai/seating area lounge leads to a barbecue pergola in a paver patio. 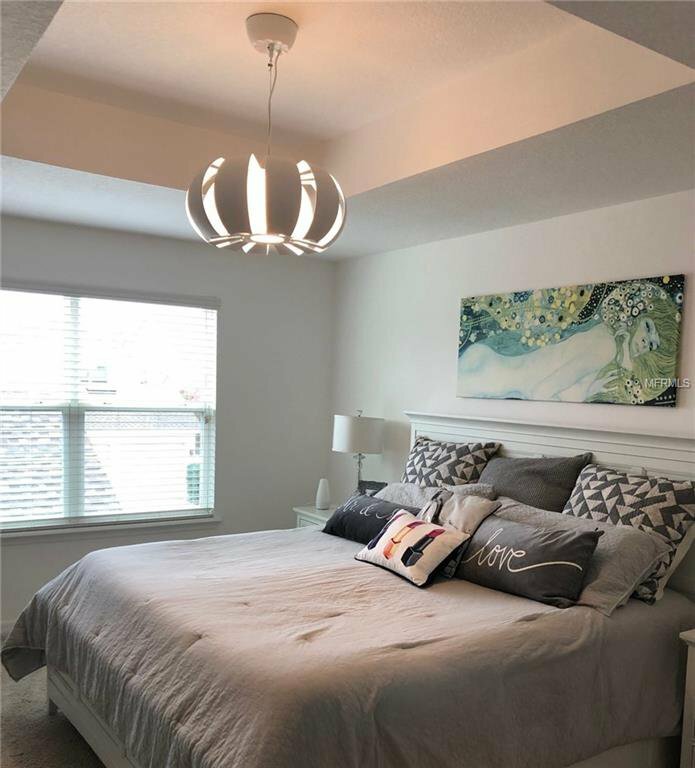 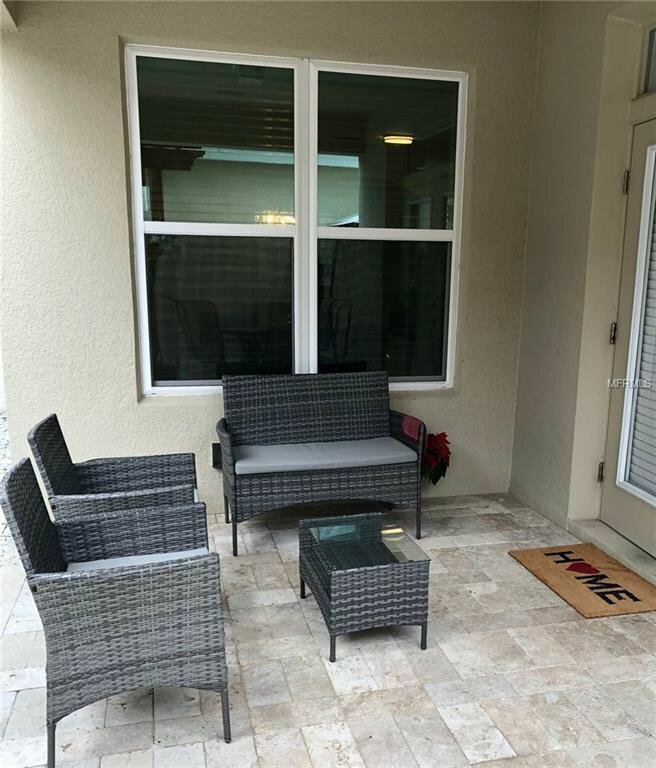 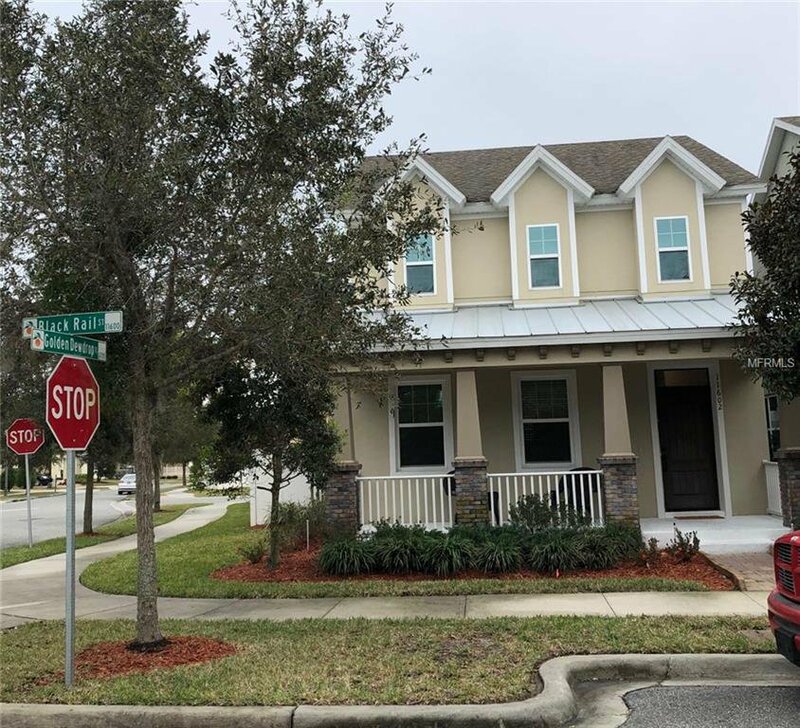 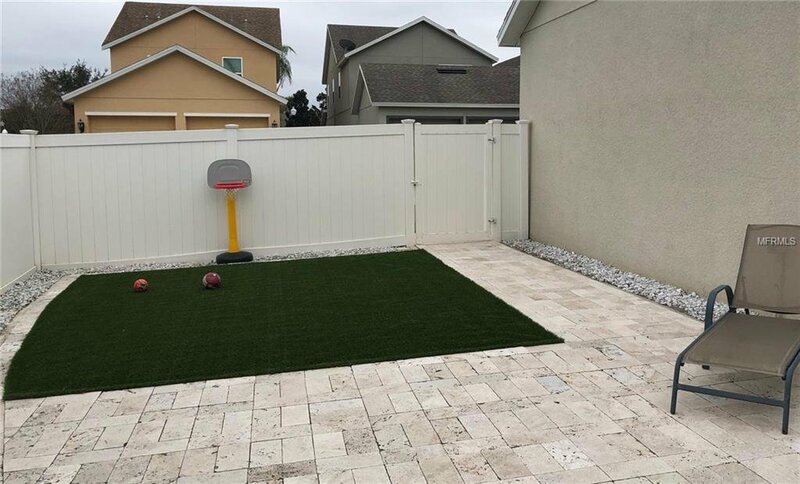 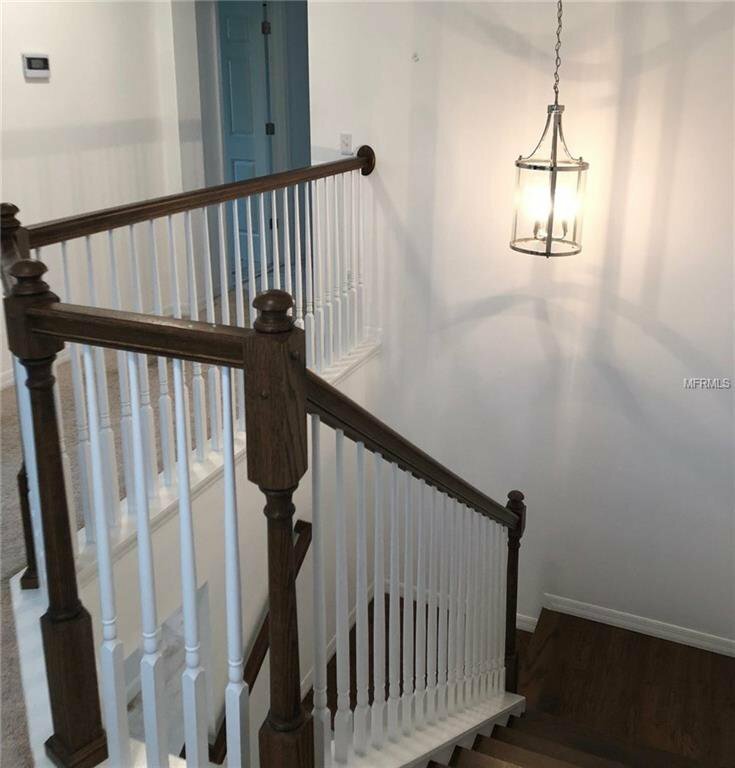 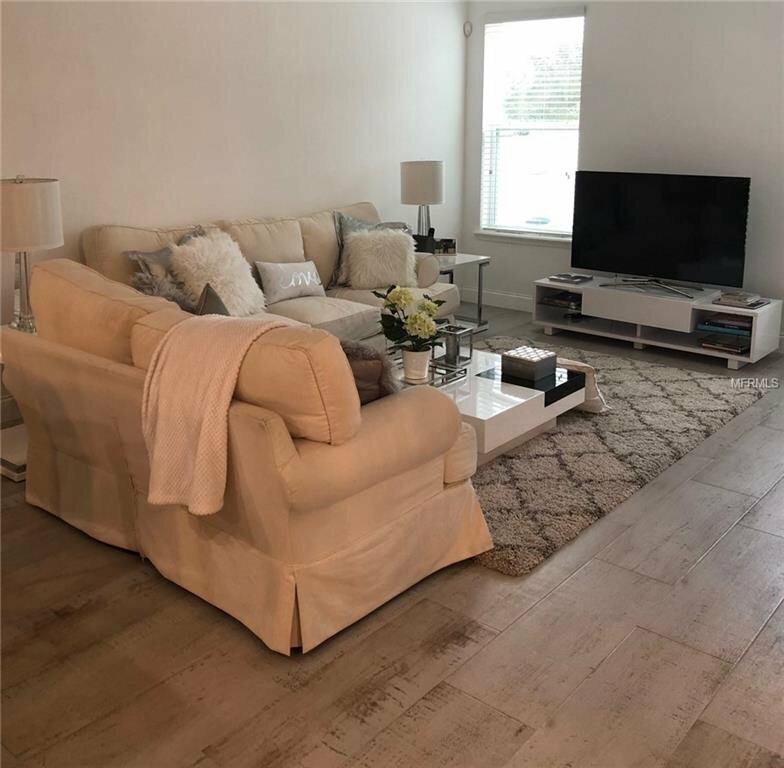 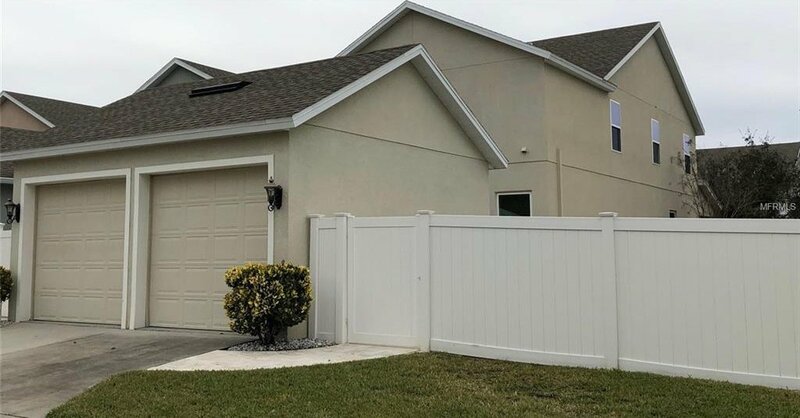 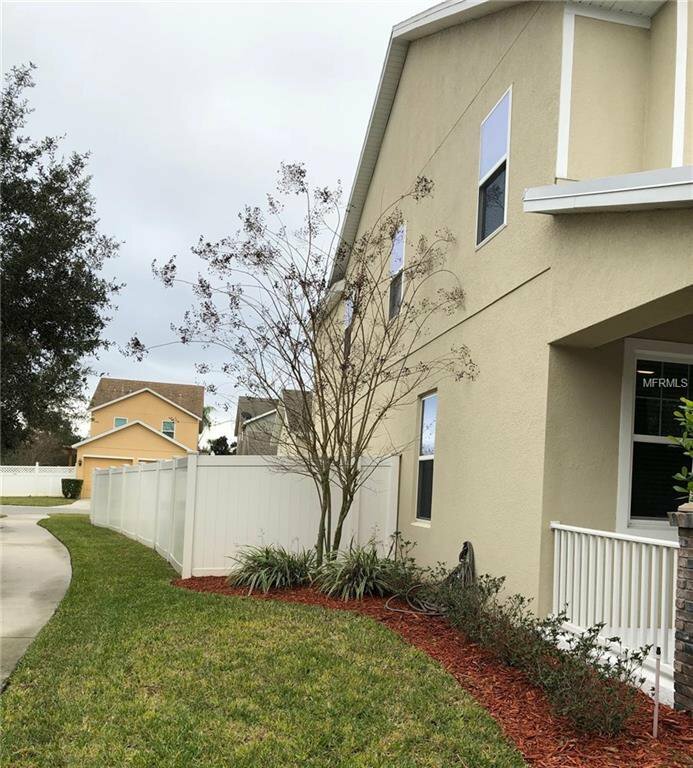 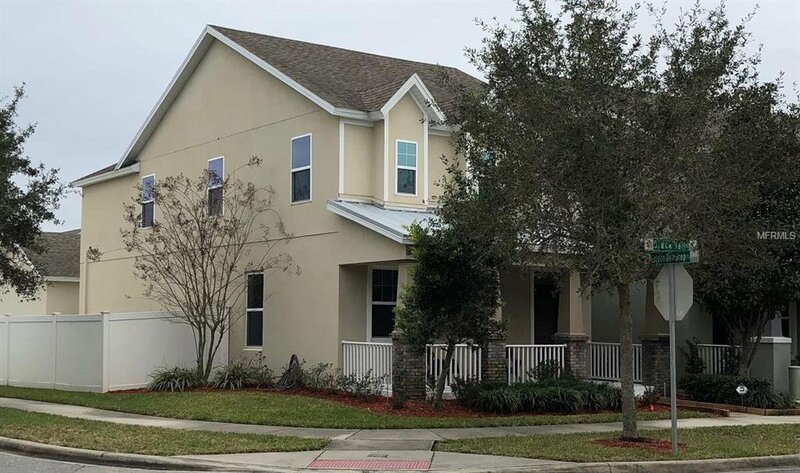 Available for sale by original owners, new painting, hardwood stairs and energy efficient Meritage Home – Windermere Landing Community provide large pool and playground. 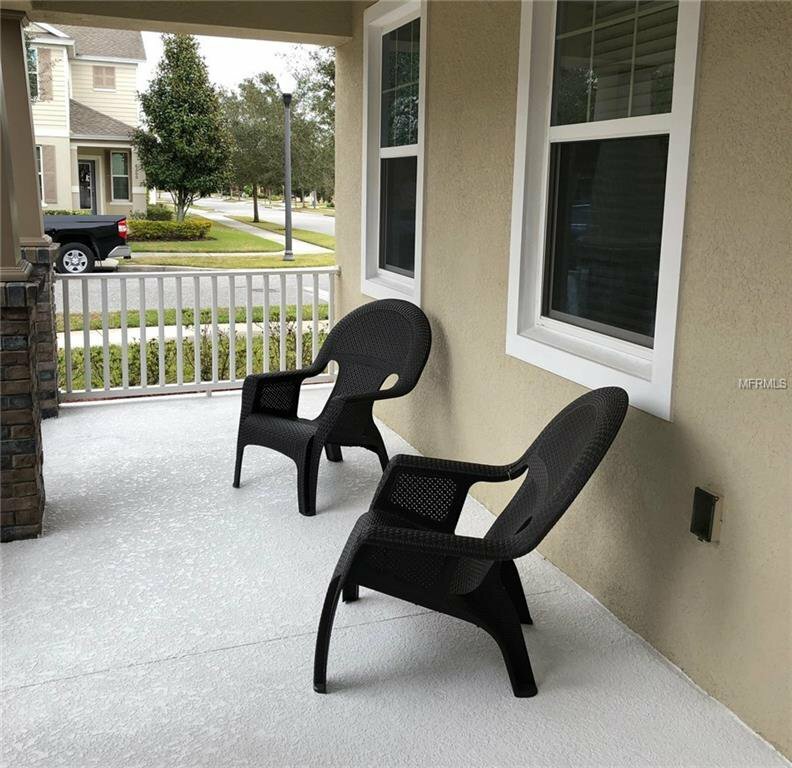 Highly rated schools, minutes from Disney, shopping and easy access to highways.